i got a package in the mail from my beautiful mom today. it was filled with tax documents & catalogs that got sent to my home address. and then there was one surprise...well kind of four. 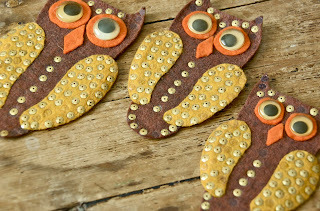 straight up VINTAGE felt owl magnets. 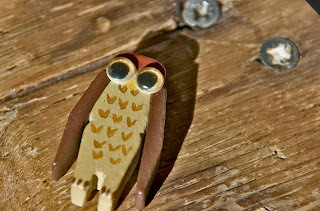 and this little guy made out of a clothespin? too legit to quit. growing up, my granny & papa had these magnets on their fridge. i remember playing with them and saying "hoot hoot" over and over to drive my papa crazy. 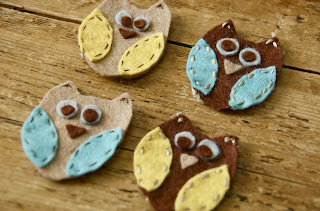 back when i started buying felt to experiment projects...my first thing i thought of was OWLS. I remembered my granny's magnets and tried to replicate them. I tried to make some mini felt owl magnets, but they turned out to look like bats. i told my mom about the magnets i made and told her i wanted granny's. she has broken her hip several times in the past year or so and is in assisted living. my mom looked for them but couldn't find them and then one day i got a text that said "found the owls in a drawer at granny's." this was about the same time it was ollie's birthday (the cutest little boy that i often babysit) and since i had owls on my mind, i decided to make him one. this was the start of oh, sweet joy. and the rest is history. 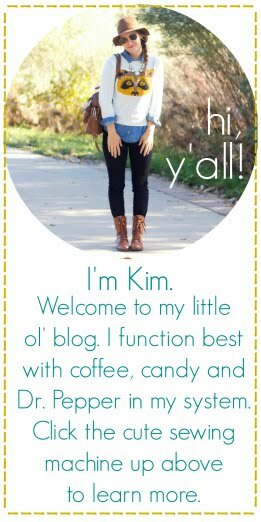 :) i love these magnets, missing sequins and all! there's something about having something that is a part of your childhood (and so before its time) that is so special. they were the inspiration behind a new chapter in my life. sweet. I know it is a huge transition to move to an assisted living facility. I hope she enjoys her stay.